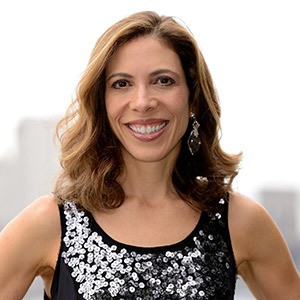 If the campaign to establish National Entrepreneur’s Day on the third Tuesday of November is successful, Linda Rottenberg should be its spokesperson, as she might be responsible for the creation/support of more entrepreneurs than any other person on the planet. Endeavor, the nonprofit she co-founded in 1997, has supported over 1,330 entrepreneurs who have generated 600,000 jobs and $8.16 billion in annual revenues. After spawning entrepreneurship ecosystems in 24 countries around the world, Endeavor brought its proven model to the U.S. in 2013, opening programs in Detroit, Miami, and Louisville, with Atlanta to follow in 2017. Yemeksepeti, an online food ordering company launched in Turkey, was sold for almost $600M, the largest Internet transaction in Turkish history. Even more impressive was the $27M the co-founders distributed to their own employees. This enterprise has sparked an entrepreneurial fire in Turkey and Greece. Co-founder Nevzat Aydin was recently named top Entrepreneurial role model by university students In Turkey, ahead of Mark Zuckerberg and Steve Jobs. Beleza Natural, a $150M Brazilian chain of beauty institutes and providers of hair-care products, employs 4,000 people and serves up to 1,000 clients per day who occasionally wait more than four hours for treatment. Founder Leila Velez was recognized as one of Brazil’s most influential women and recently expanded operations to include a hair clinic in Harlem. Kairos is a facial recognition software company founded by Brian Brackeen, a highly sought after technology wiz with no college education. Brian declined numerous offers from top Silicon Valley firms so he could bring good paying jobs to his home in Miami. Kairos provides private enterprises and government clients with an affordable facial recognition API to securely, accurately and quickly recognize individuals without expensive hardware or infrastructure. Linda cites the network of ideas and actions that have developed amongst the Entrepreneurs as one of the most delightful unintended consequences of Endeavor. Deals are being done from Louisville and Detroit to Amman and Beirut. Entrepreneurs in the Endeavor ecosystem are thinking even bigger and expanding far beyond their domestic borders both in the U.S. and abroad. Additional joy comes from the multiple Entrepreneurs who have been honored by the Schwab Social Entrepreneur of the Year including Fernanda Zorrilla of Clinicas del Azucar, Mois Cherem of ENOVA, Patrick Struebi of Fairtrasa, Felipe Vergara of Lumni, Bedriye Hülya of B-Fit and Luvuyo Rani of Silulo. Linda is a member of the Council on Foreign Relations and Young Presidents Organization (YPO) and serves on two corporate boards: ZAYO Group and Olo.com. She is a published author (Crazy is a Compliment) and married to best-selling author Bruce Feiler, with whom she has twin 11-year old daughters, Tybee and Eden. Linda claims that parenting in the age of digital distractions is just as challenging as running a multi-million dollar global organization. I honestly don’t know where my first name Linda came from, but my middle name was in honor of Dale Evans. Nobody is named Roy, however. I played with match box cars and traded baseball cards. I wanted to be President of the United States. I love what I do. I love being an entrepreneur, being a board member and an active parent. I couldn’t imagine going to work for someone else at this point. “Untangled: Guiding Teenage Girls Through the Seven Transitions Into Adulthood.” I have tween twin girls. Need I say more? If I stayed with my family, there would have to be a compromise. I would choose somewhere in Italy, but we’d probably end up in London because of the language and ease of doing business (at least before Brexit). Ensuring my daughters grow up to be thoughtful human beings and still adore their mother. I am more than a little petrified as we are on the precipice of adolescence AND aging parents. I buy all my clothes from Worth, a company started by a woman whose husband refused to give her money to buy a vacuum. Bono and U2. We can have fun and do good at the same time!